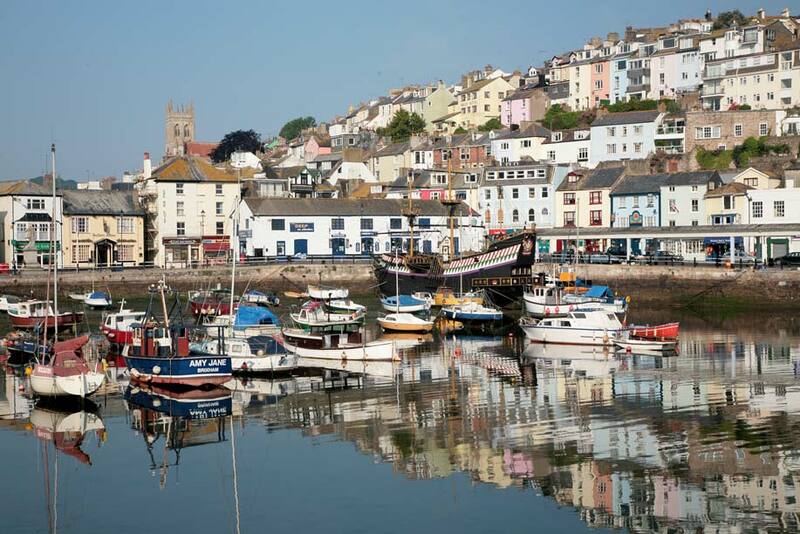 Perhaps the least commercialised part of what is known as the English Riviera, Brixham is a picturesque fishing town built upon a limestone outcrop at the southern end of the Torbay crescent of coastline. Brixham had one of the largest fishing fleets in the UK in 1851 but this is now much reduced. Pleasure craft now outnumber the fishing boats with a sizeable marina providing moorings for a wide range of yachts and boats. The town was built around the busy harbour and a fine array of colour-washed houses line the narrow streets leading from this area. 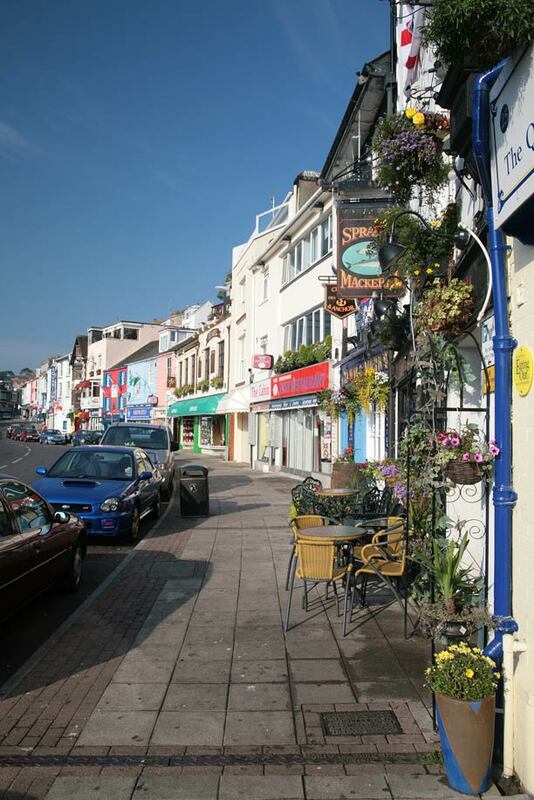 In addition to shops selling locally caught fish are cafés, craft shops and galleries. Displays in the Brixham Museum at Bolton Cross feature the rise and fall in the fortunes of the local seafaring community. In fact the museum incorporates the National Coastguard Museum. There are many photographs of local wrecks and sea rescues, and examples of the lifesaving equipment used throughout the years. The presence of a replica of Sir Francis Drake’s ship, the Golden Hind, emphasises Brixham’s seafaring links. Drake is known to have visited Brixham in 1588. At the southern end of the inner harbour is a statue of William of Orange. 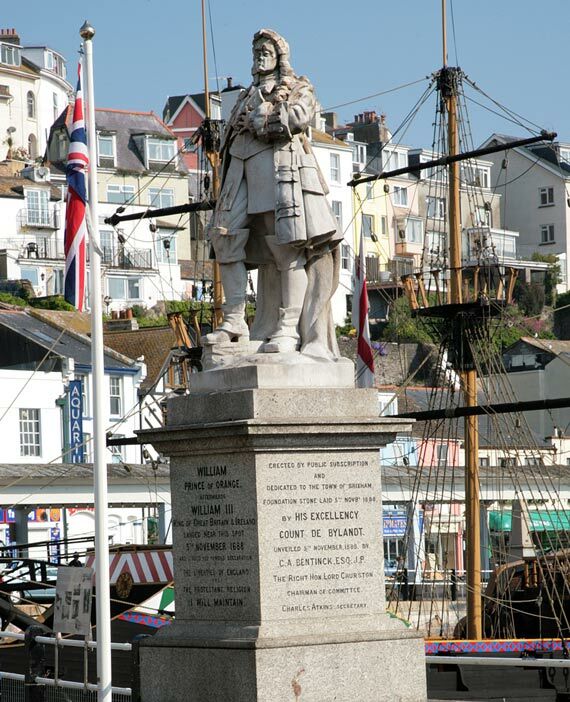 William landed in Brixham in 1688 to claim the British throne from James II. A short walk past the harbour is the promontory on which Berry Head Country Park is sited. The name is a corruption of the Saxon word byrig, meaning fortification, and the country park was once the sight of an Iron Age fort complete with defensive earthwork embankments - typical of many promontory forts in the south west. The most notable feature visible today is the huge Napoleonic fort built to defend Torbay from the French. Unfortunately the construction of these later fortifications destroyed traces of a Roman encampment that had existed on the headland. At the tip of Berry Head is the Berry Head Lighthouse. The lighthouse has the distinction of being the smallest in the UK, as it is only a few feet high. It is also the highest lighthouse in the UK, being 191 feet above sea level. Today the area is a place where a large variety of birds nest in the vertical cliffs. These include kittiwakes, guillemots, fulmars, kestrels and many more birds. The rocks also display unusual flora for this area. Further along the coast are some fine beaches. Many of these are small, with pebbles, but St Mary’s Bay has a large sandy beach, with an adjacent swimming pool. There is also a shop and other facilities here. 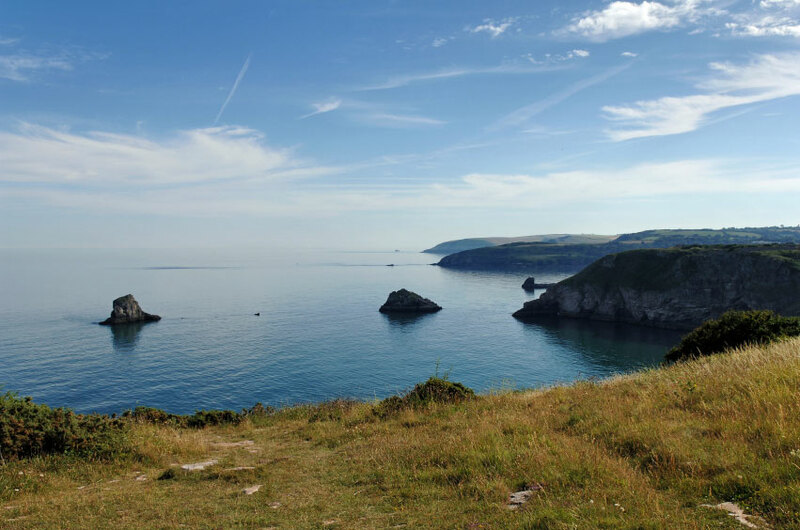 The South Devon Coast Path runs past here almost all the way to Kingswear through some stunning National Trust property. On Froward Point is a World War Two battery.